This work started with the opportunity to do a work in the project-room in Galleri Riis in Oslo. In the studio I marked out an area the seize of the project-room in Galleri Riis which is not bigger then 3 by 3 meters. I asked Anna to use the whole of the studio to run and jump over the marked area in the centre of the studio. She did this from one side of the studio to the other and back again until she was exhausted and finally walked and entered the marked area. In post-production I separated the left and the right channel of the stereo-signal so the two sound-signals would not be audible together at the same time except at the end when Anna enters the marked area. This sound was then placed in the project-room. 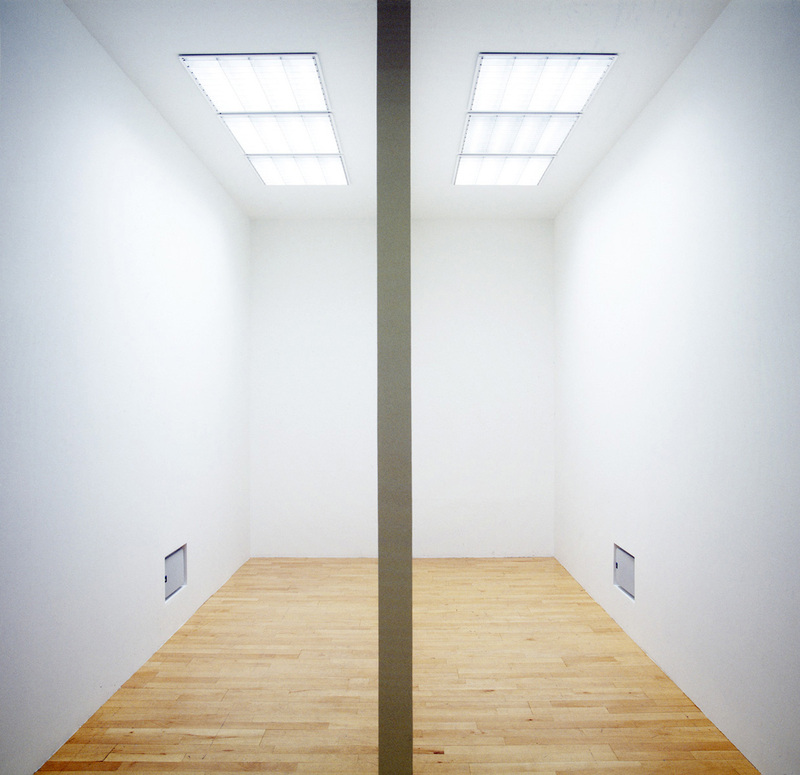 Two loudspeakers were build into the two side-walls and separated by a wall in the middle of the space.